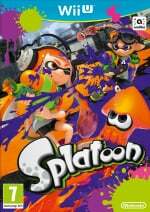 Nintendo has found a more wholesome and healthy way for us to get sloshed this weekend (Google it), confirming the latest free weapon to be heading into Splatoon. Due on the evening of 8th January in North America and the early hours of the morning on 9th January in Europe, the Sloshing Machine Neo will bring a bit of maroon style to your ink/paint-based mayhem. 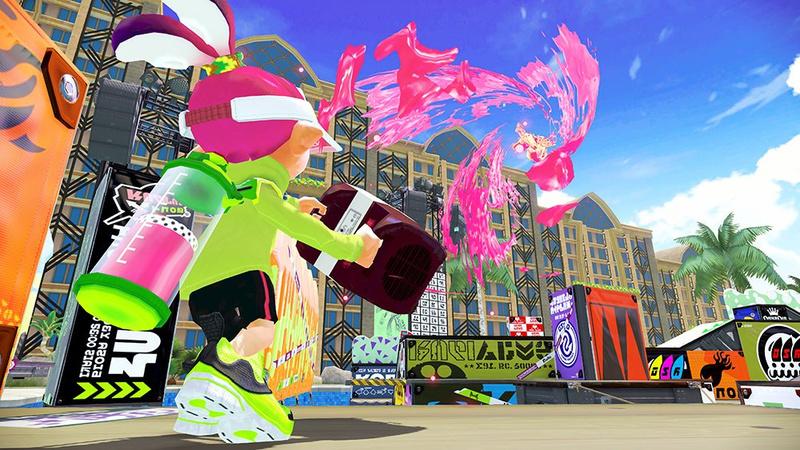 Will you be hopping into Splatoon over the weekend to try this weapon out? Let us know and, remember, this could be the last month of free content updates in the shooter, so enjoy them while they last. Any news on subs or specials? Splat bomb and bomb rush is good, but I'd happily consider an alternative combination. @stinky_t It comes with the Point Sensor and Inkzooka. I'll probably stick with the regular Sloshing Machine, but I'll try it out when it releases. Optimistically, I'd say the NX will be fall-holiday 2016, but more likely we're getting a reveal this year and launch in 2017. I'm still convinced they're going to make some sort of hybrid thing. The main controller will be NX pads (similar to Wii U gamepads), but they'll also sell "NX pods" which will be similar to a new 3DS (if not be the new 3DS rebranded, wouldn't that be a trip). It'll act as a NX controller, support the entire DS/3DS dynasty, but the NX eshop will have titles rated to be "pod-friendly". It'll be one purchase, but you'll not only get to download off your account onto the pod, but easily sync your save data to and from the main console. Later, they'll have pod-friendly updates of most Wii U eshop titles. Expect to see more remasters coming this way, especially of the Wii and Gamecube era, and only the biggest titles being console only or on a card. I main the Sloshing Machine and I can't wait to try this set out! I don't think I've given the inkzooka a fair try due to my weapon progression, Blaster->Slosher->Sloshing Machine, but I know how many situations I wish I had it. And point sensor! It's about darn time! @masterLEON I was responding to the question on Alex's video. As for the Sloshing Machine, I can't seem to get the hang of the thing. What bothers me it says it has high damage and I don't seem to be doing much harm. IIRC from my testing on the firing range, the sloshing machine does 80(?) points on a direct hit versus 70(?) of a regular slosher and 60(?) on the Tri-Slosher (these numbers may be off b/c of my fuzzy memory). A direct hit from the slosher machine's "bullet glob" will signal you with a bright flash and audible sound. An indirect hit will sound like a regular hit. Aiming the thing is more like aiming a blaster at close range because the shot glob fires straight at first. Shooting at something farther than Luna Blaster or 2-line range (from the firing range) and you'll have to start compensating for the shot dropping. I don't mind the tradeoff in lower rate of fire, versus the other sloshers, as long as it hits harder and it can be aimed normally part of the time instead of aiming above inklings heads all the time.